I loathe the sump design on this thing. It is way too small, and you have to remove the ATO tank (which must be empty or close to it--I suppose that's not a big deal since it is FAR too small for this system anyway) for cleaning. The filter socks are a proprietary size (you have to buy replacements from Red Sea), which would be okay IF they were better than standard socks. But they are not. The fit in the holder is poor, and these socks are so difficult to clean that you will be looking for excuses to put off cleaning for "one more day" (maybe they just want you to treat these as disposable, at $9.99 each). And, despite weeks of patient effort, I have been completely unable to get a satisfactory balance between my Apex COR-20 return pump and the gate valve on the the Reefer. So, my overflow is always painfully noisy. It's also very annoying that the plumbing is metric, because it makes it very difficult to modify if you want to, say, add a filter roller. Nevertheless, the display tank itself is very nice, with a good overflow design. If the tank were available without the stand or the sump, that would be a far better purchase than this system. My plan is to eventually scrap the stand for one with a better internal layout (that baffle is severely limiting) and replace the sump with one that actually works well. 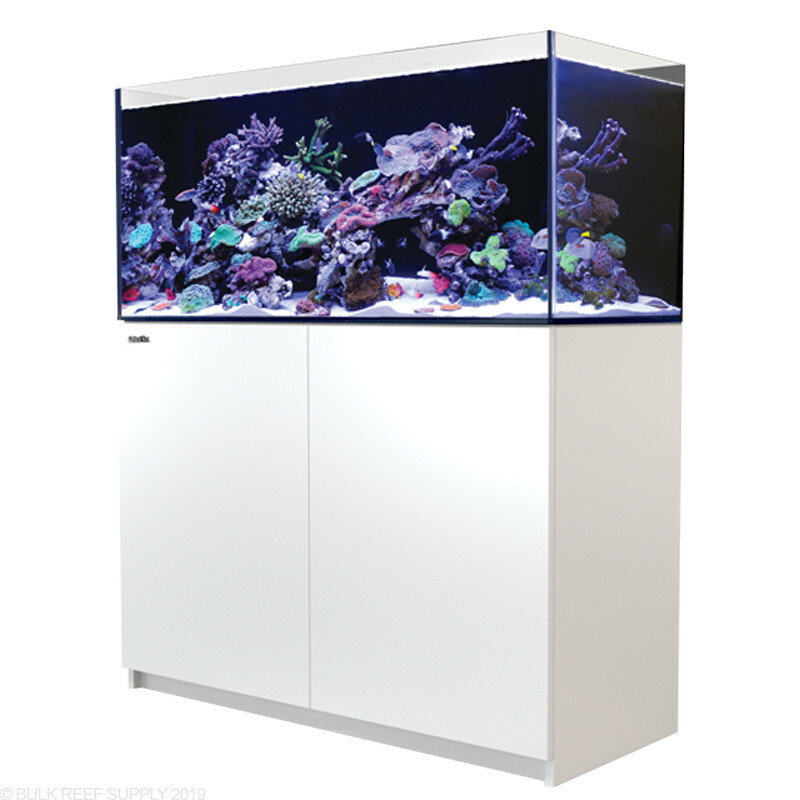 But the price is very high if you're only going to keep the display tank, so next time I think I'll look elsewhere. Giving 4 starts because it is a great system if you're upgrading or getting in to the hobby however there are some small draw backs. I that you can get it and have it all plumbed and all you need a return pump to have it running. -Size of ATO reservoir (I use a 5 gallon bucket in the right hand compartment to top off the ATO reservoir. This gives me ~8-10 gallons before refill. This tank is very well put together. I was looking for a larger tank from my 30 gallon JBJ, and this looked like a nice upgrade. The tank is just simply stunning, well put together with a lot of attention to detail all around. There is really two things I did not like about the tank. The auto-top-off is way to small for a tank this size, and i quickly replaced it with something more suitable, and use the small tank for storage. Also the sump does not really have much space depending on your setup, however I did find it was a glaring issue. While BRS is not responsible for the shipping it did make it to my house quickly. Word of warning this is a heavy tank, and the stand weighs a ton. Overall it is a great tank. The low iron glass makes it look extra clear. 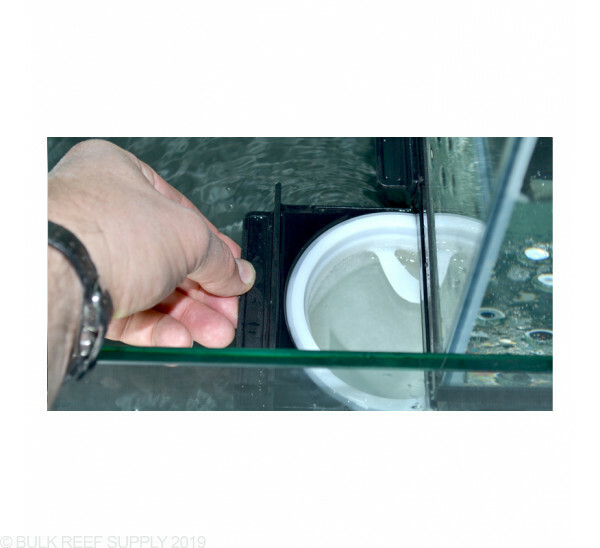 The included sump is also glass and the built in ATO is nice. All the plumbing is included, just add a pump and screw it together. Now the little things I don't like about it. The ATO tank is too small. It's summer and humid but I still have to fill it every other day. The cabinet has a wall at about 2/3 so the sump is smaller than I want. No real room for a refugium. It would be much easier to stick the electronic stuff next to the tank rather than play with water . It is metric. American plumbing does not easily match if you want to change anything. Perhaps most annoying is that only Red Sea filter socks, $10, fit. On the whole there were more "nice" surprises than 'bad' ones. The valve is great for tuning the overflow, the hardware for building the stand was nicer than Ikea, it looks good, and the ever popular more. 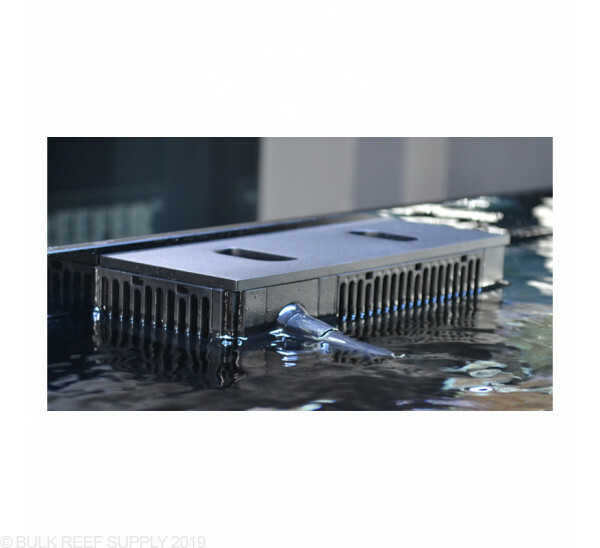 I've had my hands in saltwater since the early 1970's and I typically like to buy each component separately but when I started researching this system, it was one that I just had to have. This aquarium by far looks like it's a custom built one. The glass looks like it was cut with a laser with no sharp edges and the fitting of the glass with the black silicone is meticulously applied. 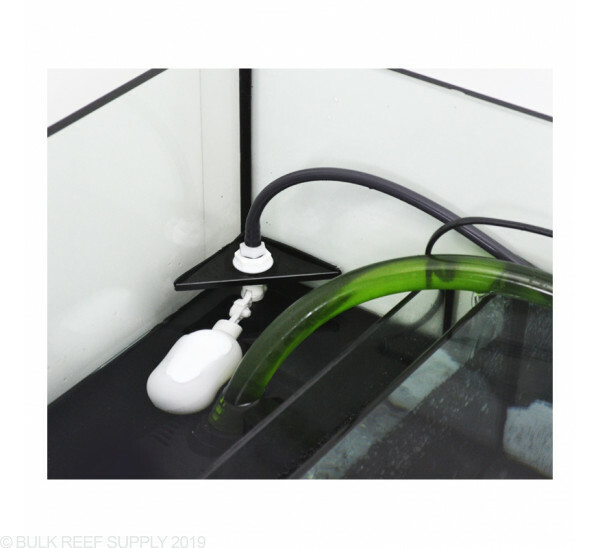 What's nice about this system is that it's a perfect BASE to start building your reef environment with, just start adding YOUR CHOICE of protein skimmer, return pump, etc. As for the stand, all I can say is that the exterior finish is seamless with no splits whatsover and is it solid! 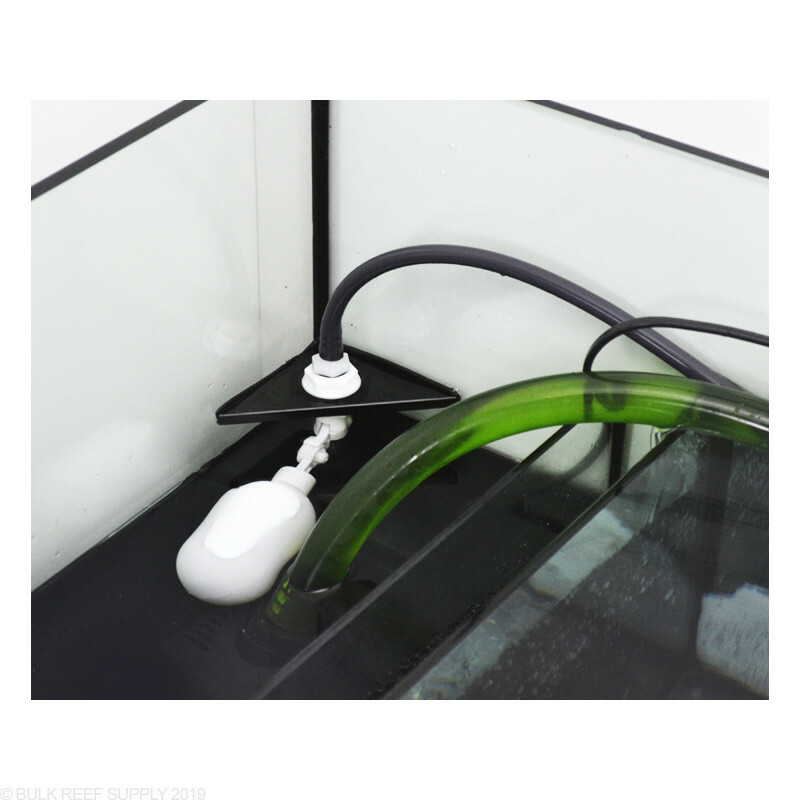 Even the sump is meticulously put together with the black silicone and it looks just as perfect as the aquarium itself. The bottomline is this. 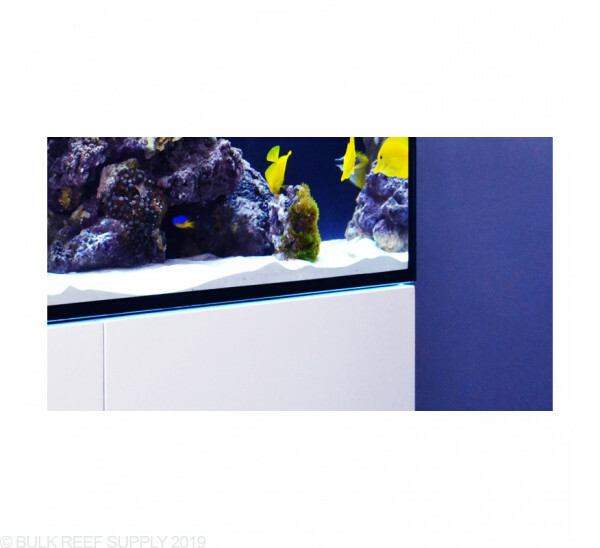 If you are looking for a SLEEK looking aquarium to house your own piece of the ocean, look no further then the Reefer Series line of aquariums from Red Sea. Coming from my RSM 250 (65gal), all I can say is wow!! Loved being able to keep all my own equipment, love the ultra clear glass. Tank is well built and designed, shipping was effortless. My only gripe was not knowing when the tank was shipped until I contacted BRS. I bought this aquarium because it seemed like a great compromise between a DIY system and an all-in-one setup like the Nuvo series or something like Red Sea Max series where all the equipment is included. 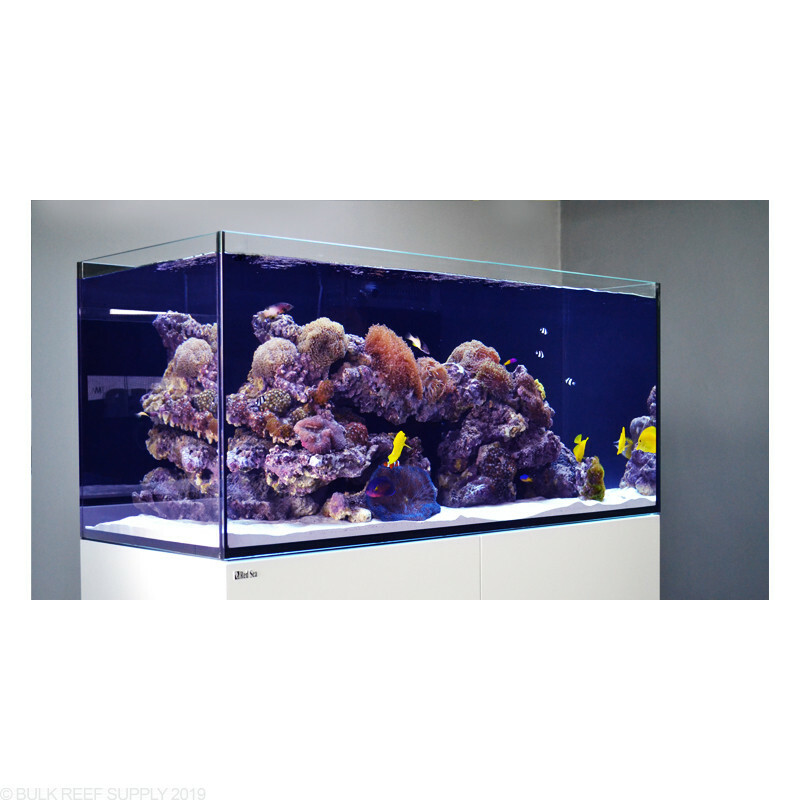 Tank - Very thick glass for a 4 ft tank. Looks really sleek and modern in my living room. 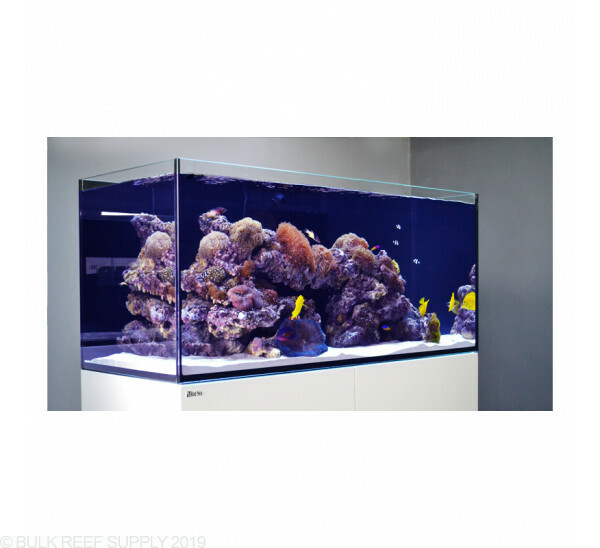 If you like a rimless tank you will not be disappointed. The overflow is very quiet once you get it dialed in, although I do notice some splashing noise from time to time when my wavemakers push a rush of water in its direction. Stand - Sleek and modern just like the tank. I went for the black one. Access to the sump is really good. If you run a chiller you'll like the built-in compartment with good ventilation in the back. However, I have LED lights and don't need a chiller. I kind of wish that they had made the chiller compartment smaller, which would have made room for a bigger sump. I ended up putting shelves in this space to store some of my aquarium gear, so it's not a total waste of space. I suppose you could also put reservoirs for two-part here as well. 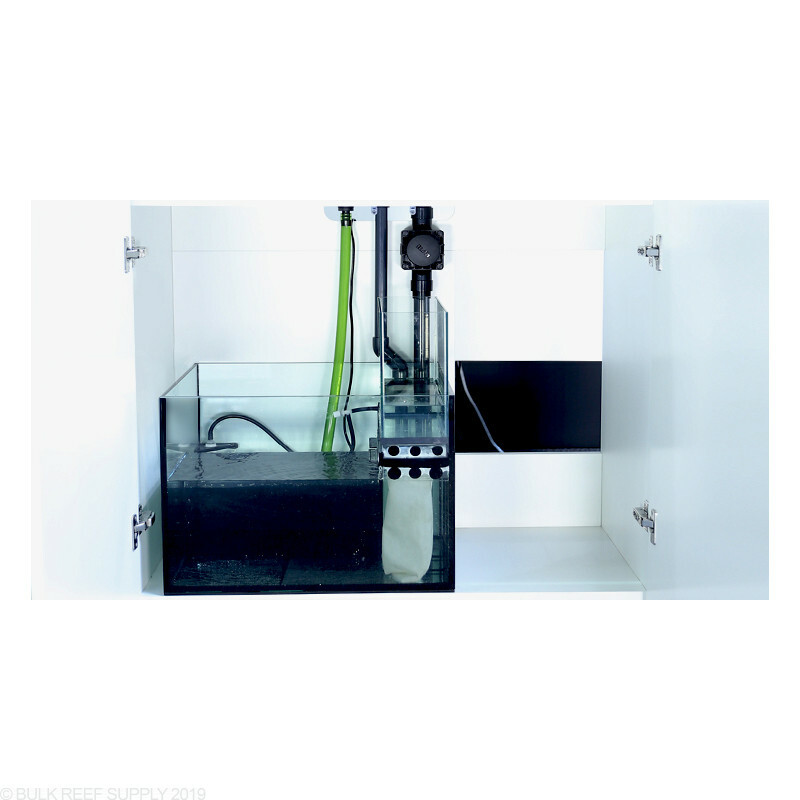 Sump - I kind of wish the sump could be bigger, but it seems well designed overall. There's enough space in the main chamber for a skimmer and a single BRS reactor. The sump fills the entire space, so you wouldn't be able to run any external equipment. I'd like to eventually get a fuge up and running but I'm not sure where I'd put it. The skimmer chamber has a constant depth of about 9.5". The return chamber is pretty small and runs at a nominal depth of 6". Now here is what I feel is the biggest pain point and the reason I'm giving 4 stars, not 5: The integrated ATO, while clever, has some MAJOR drawbacks. For starters, the reservoir holds only about 2.5 gallons of top-off water. It claims to hold 2.8, but only if you fill it all the way to the brim. This lasts about 48 hours for me, which means that I'm constantly refilling it. If I go on vacation I will need to rig a separate ATO to refill the tank while I'm gone. If the reservoir runs out your return pump will end up running dry pretty quickly. This is compounded by the fact that the return pump sits in just 6" of water to begin with. This means that it's nearly breaking the surface. 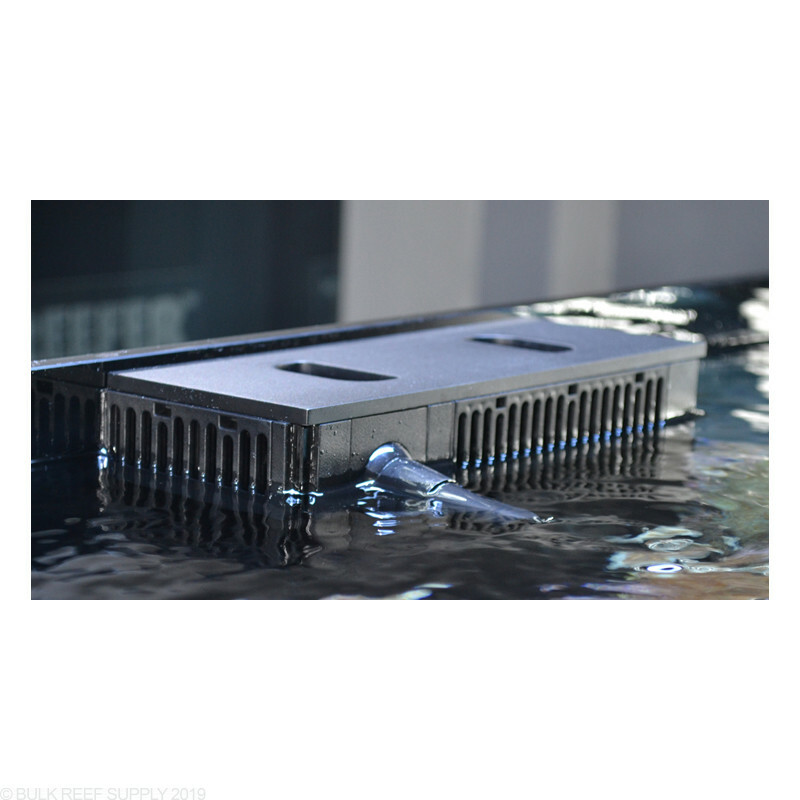 There is no way to adjust the water level in the return chamber up or down because there is a built-in float-switch. I'm running Kalkwasser in the ATO. Over time (about a week) crystallized Kalk builds up in the float switch and blocks any more from dripping out, so even if my reservoir is full, sometimes the return chamber water level drops. I will probably replace the built-in ATO before long. The only other thing I would mention is that this is shipped from the warehouse by a freight company. Dealing with the freight company was kind of a PITA and I ended up having to rent a van and drive to the depot to pick it up. Don't expect it to show up on a UPS truck. They'll deliver it to your home, but you have to coordinate with the freight company and be home to receive the delivery. 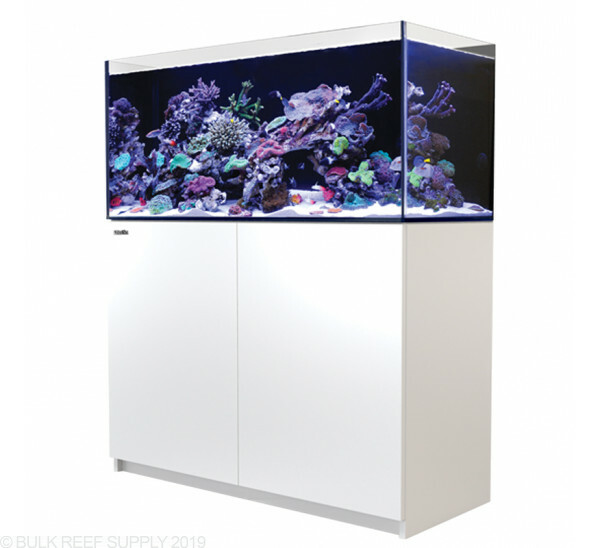 If you're looking for a sleek and modern reef tank that's also affordable, and you don't want to build a stand/sump and deal with plumbing everything, but still want to be able to choose your filtration equipment, this is the tank for you. On the other hand, if you are a DIY junkie you will likely be frustrated by your lack of options. That said, I'm in the first camp, and I am very satisfied with my purchase. I've had this tank for around two months. I love the tank and stand, the tank itself is built well... Like a TANK!!! Half inch glass on the front and is by far the heaviest three foot tank I've ever moved. It's also extremely quiet once you get the gate valve on the overflow dialed in(this will take a day or two) Now for the part I hate, the filter socks have to be bought from Red Sea, aftermarket socks just won't work. Also the design of the sump seems cool at first but will become a pain fast. I want to place a chiller in the space on the right side of the cabinet. What are the dimensions so I can plan the chiller size? The internal dimensions of the REEFER 350 chiller area are as follows, 15.5" L x 18" W x 29.75" T.
Thanks for the question and if you have any others just let us know. 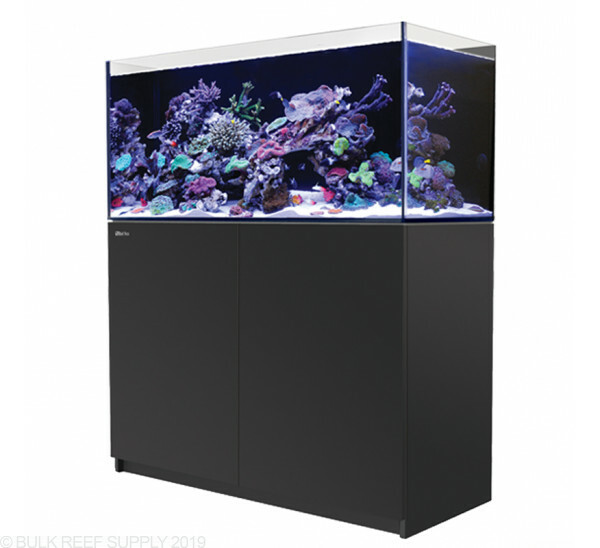 The Red Sea Reefer systems provide the tank, cabinet, sump, and necessary plumbing (including filter sock holder), but they leave the options on equipment choices to you. Lights, return pump, heater, skimmer, powerheads, etc, will need to be selected and purchased separately. 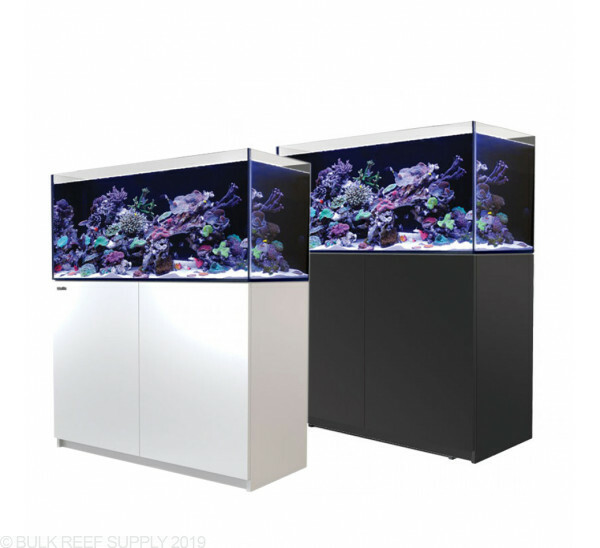 They now also have the Deluxe version which does include the AI Hydra 26 lights and Red Sea mounting system if you would like a high end LED option included. 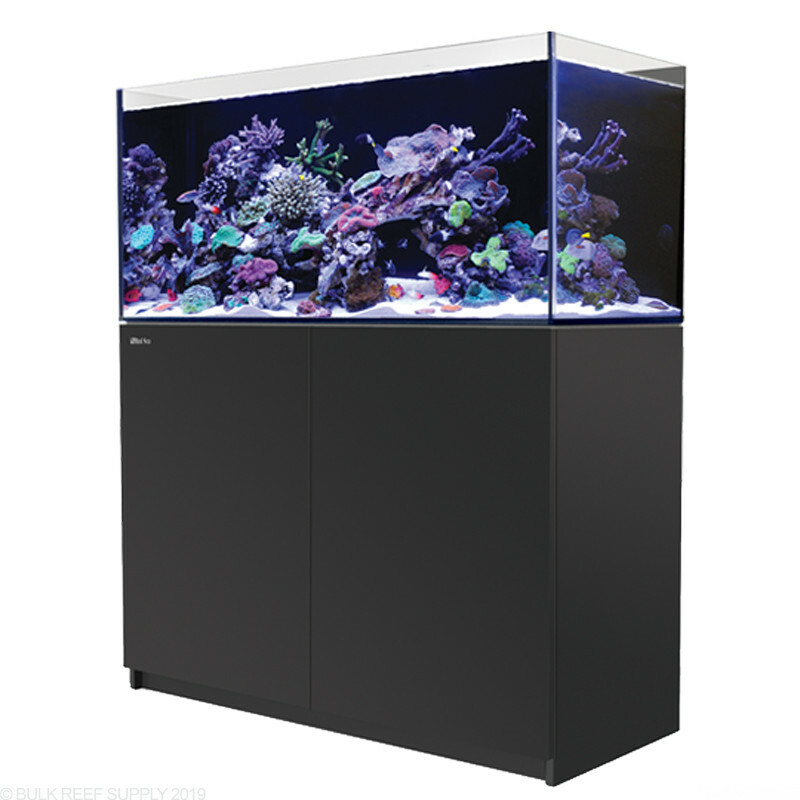 What led light would you recommend for this tank that would work to grow a mixture of different coral? What are the dimensions are the filter socks? Can i use the BRS brand filter socks, or do I have to buy them from Red Sea? I don't know if they are not standard because on of the reviews says they aren't. If they aren't standard, where can I purchase the filter socks? The BRS filter socks will fit in a 4" diameter hole. They do not work with the Reefer tanks due to the ATO compartment. You will need to currently purchase the socks from Red Sea directly. Feel free to let us know if you have any further questions! What are the internal cabinet dimensions on the Red Sea reefer 350? The Inside dimensions of the stand are 16.5" x 42". Feel free to let us know if you have any further questions!